Patriot Foundry & Castings is a leading nonferrous foundry serving the entire Boston, Massachusetts region. We specialize in producing world-class castings of bronze, aluminum and zinc-based alloys. Thanks to our lean production methods and rigid documented procedures, we’re able to guarantee our clients delivery of consistent, repeatable and affordable products. Whether you need just a few castings made or thousands of them, Patriot Foundry & Castings is the job shop for you. Aside from our castings, we also provide value-added services, including pattern design/production, heat treating, annealing, machining, powder coating, painting, anodizing and assembling. 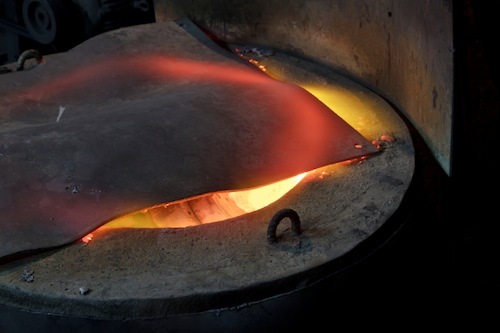 We differ from other foundries in that a large percentage of our castings have other materials in them, from heating elements to copper tubing to cast iron parts to stainless steel inserts. Our DUNS number is 826918117 and our CAGE Code is 54J41. Patriot Foundry & Castings is proud to be ISO 9001:2008 Certified (Certificate No. : 11-2168). Patriot Foundry is a woman-owned small business.